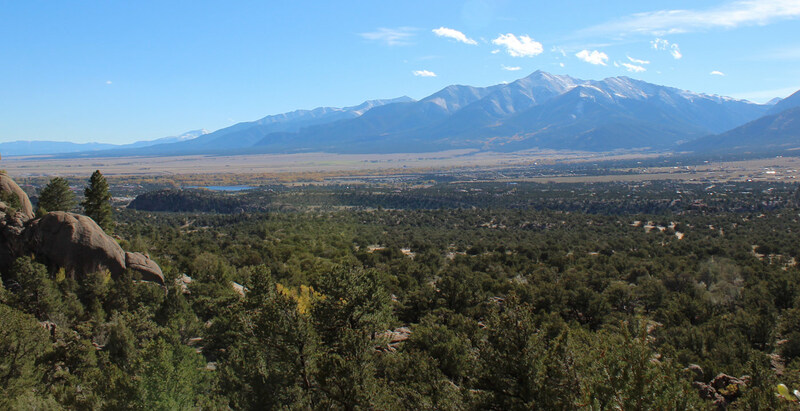 Tucked at the base of Kit Carson Mountain and just 40 miles north of Alamosa, you'll find the historic and quaint town of Crestone, Colorado. Once a gold and silver mining town, it now flourishes as a small community and an internationally known spiritual center for many sects. Here you'll find a Zen center, Buddhist retreats, a Hindu temple as well as Christian retreats. Noted for it's extraordinary energy by these peoples, it is now a peaceful place for many to come and cleanse their minds. Crestone is also home to some 18+ Geodesic domes supporting vegetation year round, as well as the Colorado College campus.